Brussels Belgium – As the swim meet begins, one can feel the undeniable excitement and energy slowly building up. The teams are warming up in the pool, as a slow trickle of siblings, coaches and eager parents quickly fill the stands. The team organizing this meet is the ESB Octopus, representing the European Schools of Brussels. Today, five teams are participating at our home meet from across Europe. Founded in 1984, ESB Octopus is a competitive swim team and is part of the EFSL. The team is made up of students across the Uccle, Ixelles, Laeken and Woluwe schools. It is run completely by volunteer parents in charge of organising and refereeing the meets, to name a few. The team is strongly linked to Cesame, a branch of the Parents Association (APEEE) in charge of extracurricular activities. They organize the weekly training sessions, and the majority of their swimmers train with Cesame. ESB is a non-profit organization, funded by yearly fees from swimmers, used to rent pools, pay coaches etc. When it started, ESB Octopus joined the International Schools Sports Tournament (ISST), competing against other international schools in Brussels. In 1995, ESB joined the European Forces Swim League (EFSL), a culmination of over 1,000 swimmers from 18 different teams across seven countries. The EFSL is a swim league made up of teams from US and Nato Forces. ESB is the exception, being the only team not affiliated with a military force. The EFSL is comprised of swimmers from 6 to 19 years of age, so students in primary and secondary. The league does not intend to compete with local teams on a regional or national level, nor draw swimmers away from them. 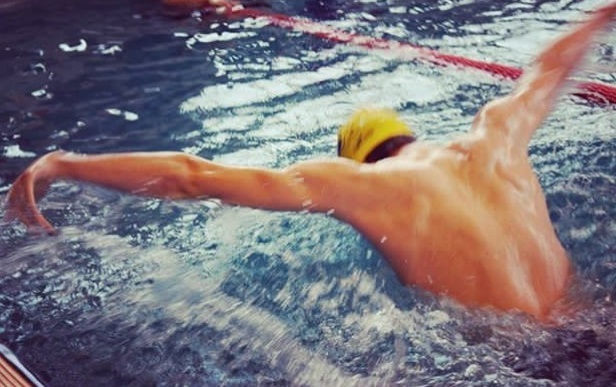 Rather, EFSL attempts to provide swimmers with a competitive program on a local level, and a healthy environment in which to grow mentally and physically. In fact, ESB even has a few swimmers who swim with us and a local Belgian team at the same time. ESB have a strong sense of community and spirit, where the two team captains and the oldest swimmers support and encourage younger swimmers along with the coaches and parents. ESB mostly participates in meets around Northern Europe against teams from the BeNeLux area, however we do participate in long-distance meets across the entirety of Europe. This season, we are taking part in meets in Kaiserslautern Germany, Lakenheath England, and Rota Spain. ESB participates in approx. 15 different competitions, ending with a large two-day Championship Meet where all 18 EFSL Teams partake. These competitions take place between the end of September and January, with the Championships occurring in February. The EFSL Championships is a two day long meet where all 18 teams participate. To swim at the Championships, one must qualify, and it is this qualification that many swimmers strive for. The meet is often held in large 50m pools where Olympians have swum, inspiring awe in all participants whether young or old. Last year we swam in the Olympic Swimming Pool in London from the 2012 Summer Olympics, where many great swimmers such as Michael Phelps himself swam. This year, the Championships are being held in Eindhoven, Netherlands in a pool where the Dutch National Team trains. This year’s Championships are especially important, because ESB Octopus are organizing the competition this year. We will need all the help we can get to manage and provide for almost 500 swimmers! If you do wish to join the ESB Octopus Swim Team you have to be between 6 and 19 years of age to comply with EFSL regulations, however we do not have tryouts like traditional teams, rather all we expect from our swimmers is that they have a basic knowledge of backstroke, breaststroke, and freestyle and be able to complete a short 50m or 100m race (depending on your age). In terms of training, again, we don’t require our swimmers to participate in a weekly swim training, although we do recommend that our swimmers swim at least once a week to allow oneself to improve. It is important to point out that this weekly practice does not have to be done with ESB; as aforementioned we have swimmers who train with the local team and not with us, and we also had a swimmer who swam alone. Photos: Britta K., Aly-Reza M., Elmiza M.
super informative and interesting, some really good explanations of how everything works and is organised. Well written too! This was INCREDIBLY well and eloquently written, beginning with an almost novel-like description of the unique atmosphere one feels while taking part in such competitions, and going through to convincing, detailed, well-rounded explanations. Amazing.